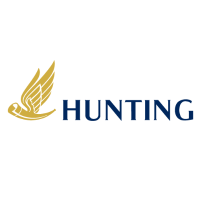 Hunting PLC (LON:HTG), the international energy services group, today announced its results for the six months to 30 June 2018. 1 – Underlying results are before amortisation of acquired intangible assets and exceptional items. Reported results are based on the statutory results as reported under International Financial Reporting Standards. 2 – 2017 financial data has been restated to reflect the adoption of IFRS 15 Revenue from Contracts with Customers. · Strong increase in volumes manufactured during H1 2018 compared to the prior period reflecting the improvement in drilling and completion activity in US onshore markets and more stability globally. o Progress with new technology development – commercial launch of autonomous cutting tool and enhanced H-1 Perforating System planned for H2 2018 and Q1 2019 respectively. · Commercial launch of three TEC-LOCK™ semi-premium connection variants achieved during the period. Target markets include onshore conventional and shale projects. · Increased revenue and EBITDA reported in the period and a return to underlying and reported profit before tax. · Gross margin of 31% (H1 2017 – 22%) and EBITDA margin of 16% (H1 2017 – 4%) achieved in the period on the back of a lower cost base and operating leverage benefits. 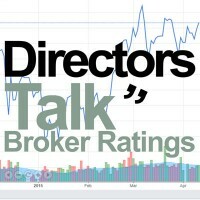 · Hunting Titan and US operations report operating profits as markets improve. Asia Pacific, Canada, Europe, Middle East and E&P segments remain loss making. · Recommencement of shareholder distributions – interim dividend of 4.0 cents declared, absorbing approximately $6.6m, payable to shareholders on 24 October 2018, with a record date of 5 October 2018. · Carol Chesney and Keith Lough joined the Board as independent non-executive Directors on 23 April 2018. Mrs Chesney was appointed Chair of the Audit Committee, following the retirement of John Nicholas on 18 April 2018. · John Hofmeister retires from the Board today after nine years of service. Annell Bay has been appointed Chair of the Remuneration Committee and Keith Lough has been appointed Senior Independent Director. · Formation of Executive Committee comprising the executive Directors plus segment heads to manage the Group. Commenting on the results Jim Johnson, Hunting Plc Chief Executive, said: “The Group’s results for the first half of the year are underpinned by a strong market environment within US onshore completions, which has led to outstanding results for Hunting Titan and improving profitability for Hunting’s US operations.